In the hundred//years I was nine I solved ten thousand math problems/ but no one asked me what I loved, so I just//unbuckled my shoes each night, alone with it. 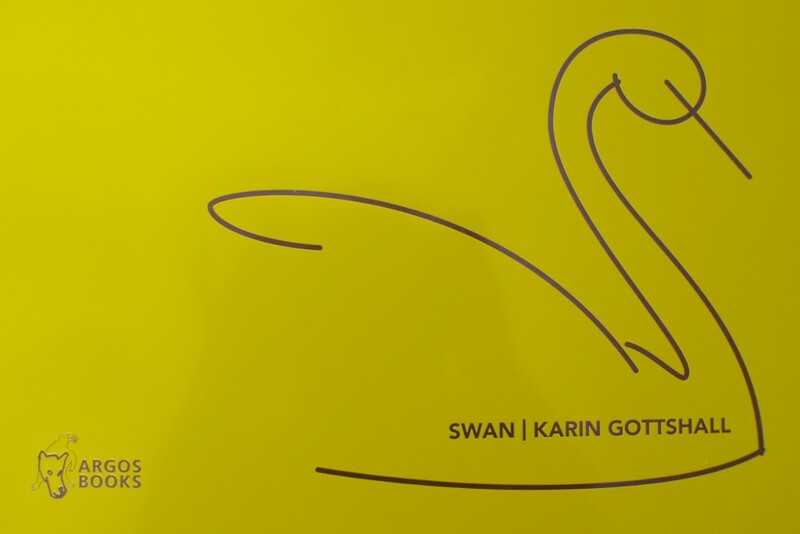 Karin Gottshall’s Swan finds extraordinarily vivid patterns of emotion evident in the materials of the “everyday.” In the tradition of great American female life-lyricists—Lyn Henjian, Elizabeth Bishop, Barbara Guest—Gottshall generously allows readers not only to think about childhood, the passage of time, and the vulnerability of objects, but to feel those phenomena. Her deft handling of the lines between interior and exterior—and between “then” and “now”—merits reading and re-reading. The transformative nature of these poems invites the reader to study Gottshall’s language closely, and to study the emotional syntax of her own life in turn. Karin Gottshall is a poet, fiction writer, and creative writing instructor. Her most recent book, The River Won’t Hold You, won the 2014 Ohio State University Press/The Journal Wheeler Prize, and will be published in late 2014. Her first book, Crocus, was published by Fordham University Press in 2007. She is also the author of the poetry chapbooks: Flood Letters (Argos Books, 2011) and Almanac for the Sleepless (Dancing Girl Press, 2012). She teaches poetry writing at Middlebury College, and has also taught at Interlochen Arts Academy and the New England Young Writers’ Conference. Karin live in Middlebury, Vermont. Posted by Elizabeth Clark Wessel, February 27th, 2014. ©Argos Books. Made with WordPress by Mårten Wessel.